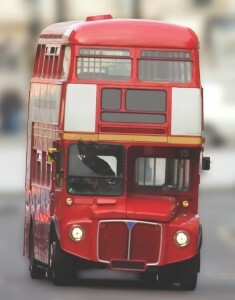 The iconic red London bus has a long history. In 1907 at a time when there was fierce competition for passengers, and route numbers had only just been introduced, operators still used a variety of colours to indicate where the bus was going. The largest operator, London General Omnibus Company, decided to make its buses stand out. It chose a spoked wheel as a symbol and the colour red for all its vehicles. When London Transport was eventually formed as a single company in 1933, red was already the predominant colour, so all buses in the Greater London area became red. Answered by Caroline Warhurst, London Transport Museum. Next story How It Works issue 30 on sale now!